Do you hear that? It’s the sound of water filling the creeks of the rocks and finding its way down the mountain. It’s the most astounding noise ever that will ripple your eardrums and make you wish that you’re there. I’m talking about waterfalls – the real wonders on Earth. It’s hard to distinguish the most amazing waterfalls out there, but that doesn’t mean that they are impossible to find. We all know that waterfalls are, in fact, places where running water rapidly drops as it flows over a cliff or a steep region. However, saying it is far different than experiencing that breath-taking sight. The closest we can get to it in words is through the first man that walked down a river. He peeked over the edge and loudly shouted from the top of his lungs, “I think we can jump off of this!” You can imagine the passion and thrill he must have felt in the eyes of danger and at the same time magnificence of nature. Believe me, the same would happen to you. With this piece, we will travel around the world together in search of the most amazing waterfalls on Earth. Starting from the Old Continent, that has a plethora of them; Asia, being the sanctuary of our civilisation; the United States, Canada and Latin America, where the sound of the falling water is as sweet as music up to Australia, New Zealand or the Caribbean, we’ll go absolutely everywhere. Every waterfall is unique in its own way and it’s almost impossible to say that one looks just like the other. They’re the finest works of nature and like such, they’re present to wow us and lift up our spirits. They’re an unstoppable force to be reckoned with and have the power to crash over cliffs, carrying with them everything that comes in their way. Whether they exist in the middle of rainforests, mountains, villages or can reach unimaginable heights and widths, they all have one thing in common. That is the river that represents the main source of water and their base. That’s precisely why we will start our search for the most amazing waterfalls in the world by some of the most powerful rivers. Hold tight to your seats, as we go to the biggest, greatest, extraordinary, marvellous and most amazing waterfalls that Mother Earth had crafted just for our eyes to see and hearts to flutter. Let’s begin! Here are the top 15 rulers of the empire of waterfalls laid out only for you. 1. 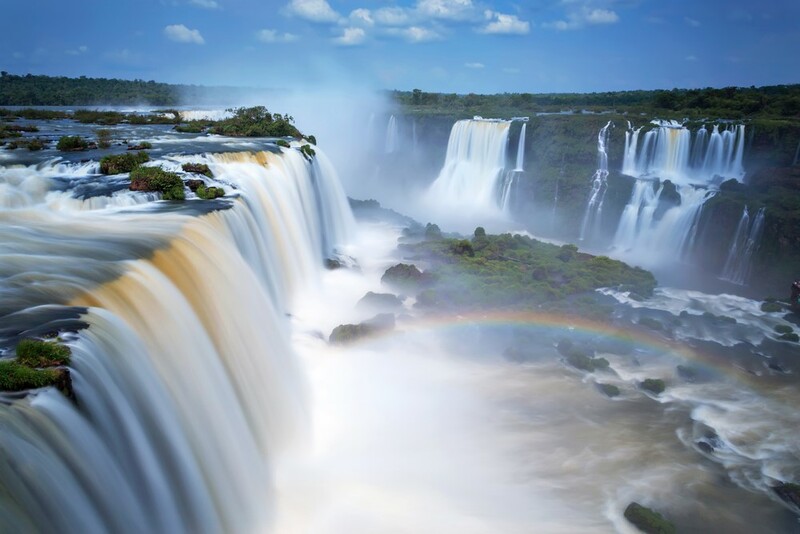 Iguazu Falls, Brazil – This spectacle of 275 individual drops is a real treat for the souls of tourists. Its location lies on the border of Brazil and Argentina, originating from the Iguazu River from where it derives the name. 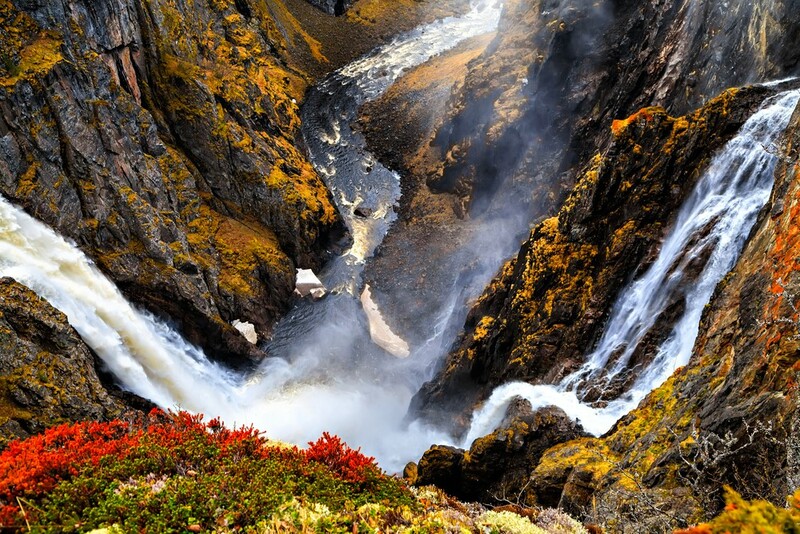 Today these falls are owned by UNESCO World Heritage Sites, making them a global treasure. What’s interesting for visitors is that there are special walkways around them, allowing a close-up observation. Their magic is even captured through the camera lens of famous directors, appearing in movies such as Indiana Jones. 2. 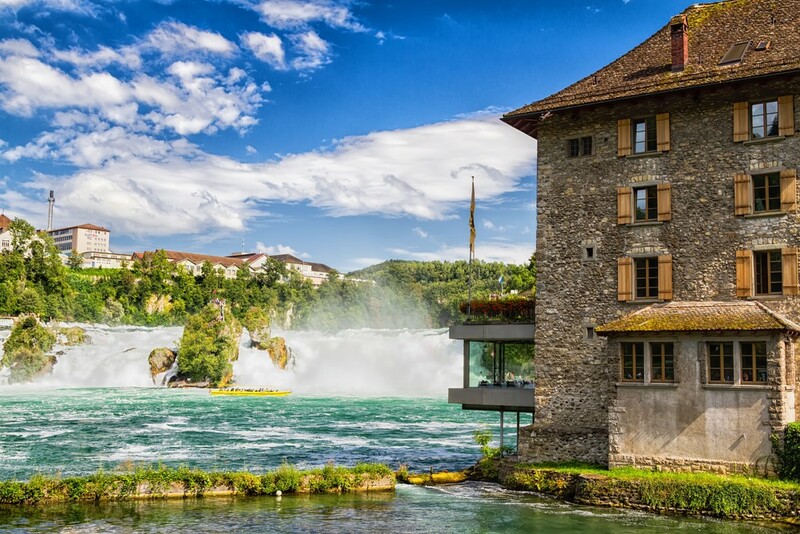 Rhine Falls, Switzerland – One of the most amazing waterfalls is definitely Europe’s largest fall originating from the river Rhine. It is 150 metres wide and the water rushes at the rate of 23 metres per second. Fascinating numbers, right? What is more, it has a mighty rock standing in the middle, which can be reached on a circular tour. Visitors can examine the miracle closely by standing on platforms partially hovering over the river. It can be easily reached by boat, so don’t worry about that. 3. 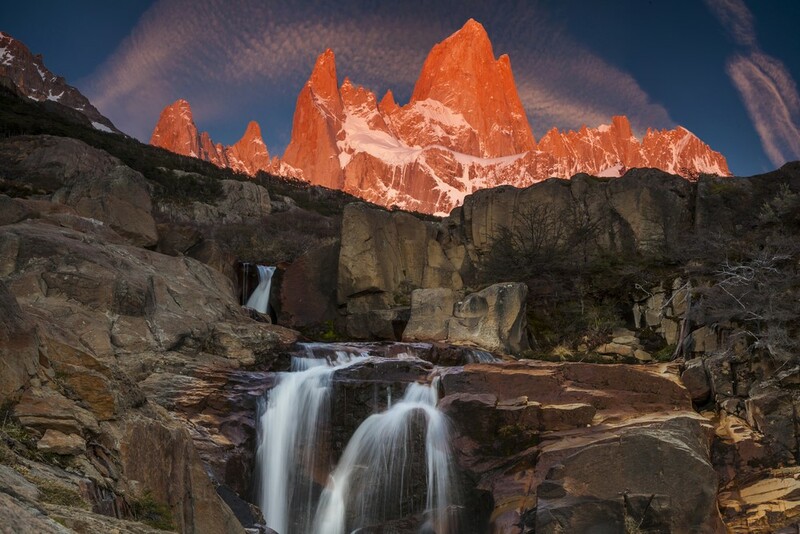 Waterfall Monte Fitz Roy, Argentina – We move back to South America for this wonderful waterfall. It is considered as a rather small one, but nothing short of spectacular. And it has a dramatic drop, which leaves all tourists without their breaths from excitement and fear. As it can be reached through multiple trails, it gives a chance to everyone to enjoy the green forest surrounding it and the sky that’s mirrored in the fast water. 4. 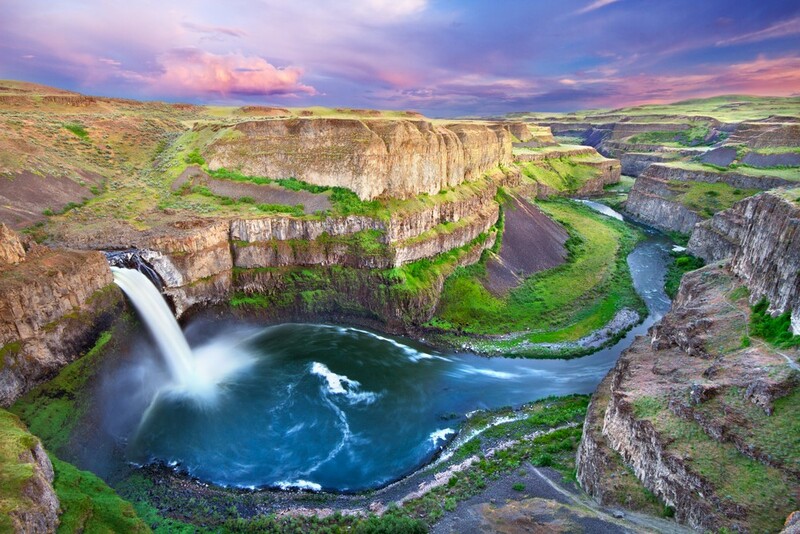 Palouse Falls, Washington – These iconic falls are thought of as one of the most amazing not only because of the astonishing water, but also because they are crowned as the official waterfalls of Washington State. That is something worth an applause. Named by the Indians, they are settled within Palouse Falls State Park, giving an awesome opportunity for an unforgettable day in nature. Just follow the trailhead and you’ll see the glorious fall of water with an immense speed before your eyes. 5. Tinago Falls, Iligan, Philippines – Off we go to the Philippines for our next contender on the list of most amazing waterfalls on the planet. 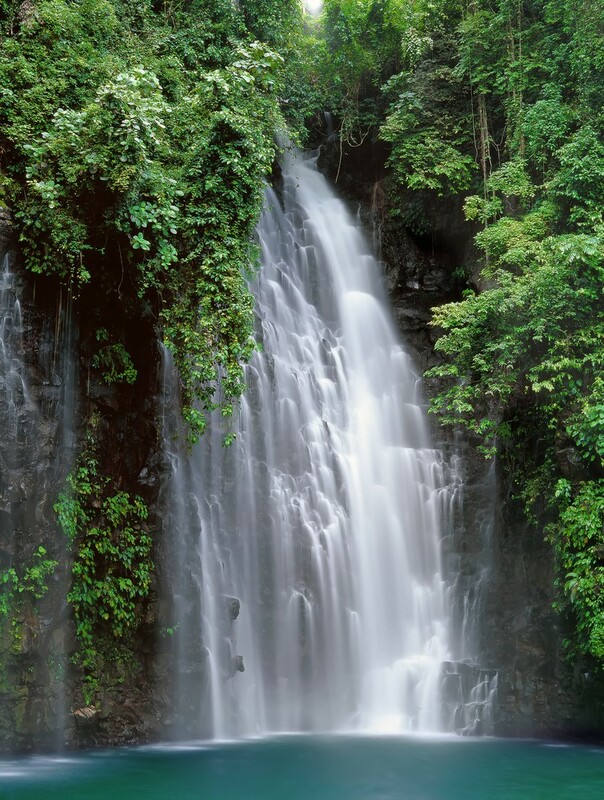 It is a primary tourist attraction in the town Iligan and for a reason. Beginning with their height of 240 feet, colourful waters ending in a tranquil pool ideal for swimming to the cavern hidden beneath the falls where tourists can enjoy the soothing sound of the water and the richness of flora and fauna, these waterfalls are a must for everyone. 6. Misol-Ha Waterfall, Chiapas, Mexico – Hola! 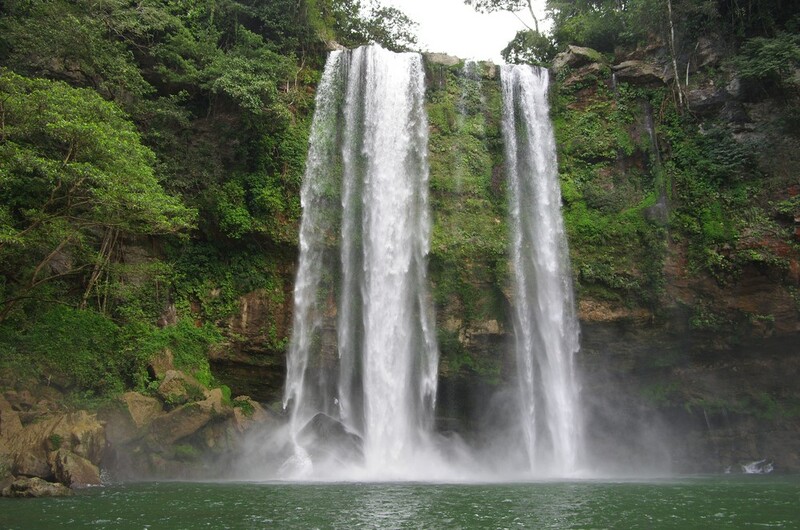 It’s time to brush up your Spanish, as our next most amazing waterfalls are located in Mexico. They are made of one cascade that is 35 metres tall. As it falls into a circular pool, the water is clear blue due to the mineral content. And the pool is suitable for swimming, promising a one of a kind travelling experience. You can visit it in groups and even rent a minivan for the whole day, allowing you to see everything you like around the waterfall. 7. 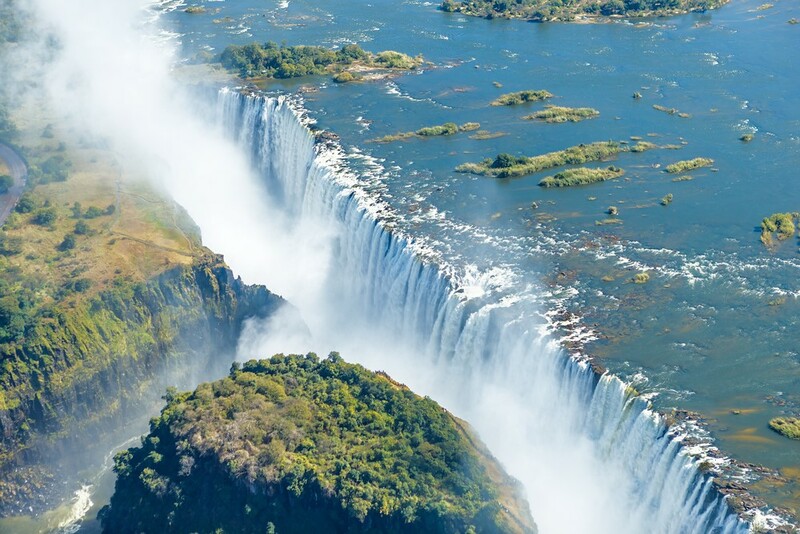 Victoria Falls, Zimbabwe, Africa – Brace yourselves for the greatest attraction in Africa – the only waterfalls in the whole wide world that have a length of more than a kilometre and are tall more than a hundred metres. That’s why they are thought of as the biggest on Earth and a part of the most amazing waterfalls. They lie on the Zambezi River and are one of the UNESCO World Heritage Sites, making them a real jewel of nature. What’s interesting, in the dry season the water level drops sharply and tourists can walk among some parts of the waterfalls. 8. Voringfossen Waterfall, Norway – This waterfall is located in Norway and is one of the most amazing waterfalls there and in Europe. It has a total fall of 182 metres making it awe-inspiring. If you want to be a part of the impressive sight of the water falling between the idyllic surroundings, you should definitely go to the Mabodalen valley. From there you can see the whole waterfall and devour its full beauty. 9. 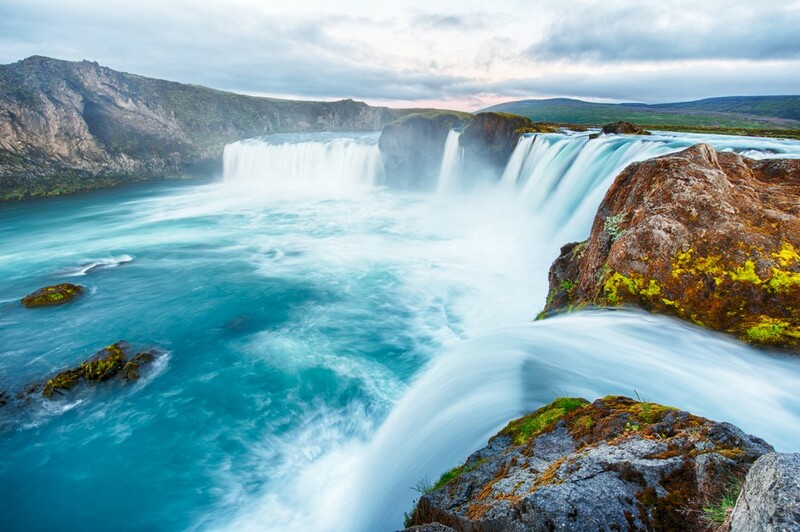 Godafoss, Iceland – This is one of the most amazing waterfalls in Iceland and also among the largest and most beautiful ones. The water falls from a height of 12 metres from the river Skjalfandafljot. That is as spectacular as it sounds. As a tourist, you must be interested in places to stay when coming there, so there are actually a lot of guesthouses, hotels and farmhouses nearby. Also, this waterfall is the place where in the year 1000 Christianity was made the official religion of Iceland. 10. 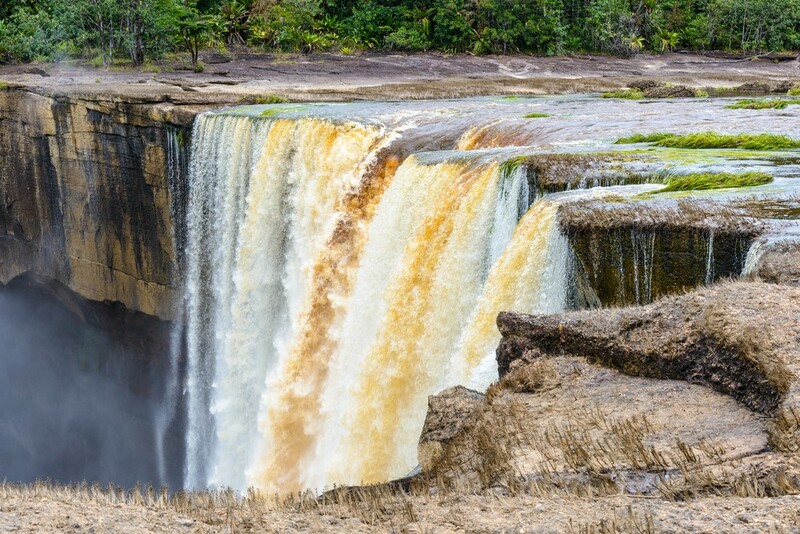 Kaieteur Falls, Guyana – This is the widest single-drop waterfall in the whole world. That’s exactly what makes it one of the most amazing waterfalls. It lies on the Potaro River and is a part of the Kaieteur National Park in the Amazon forest. Its flow rate of 663 cubic metres per second qualifies it among the most powerful waterfalls on the planet. It’s close to the international airport, so you won’t have any troubles accessing it. Moreover, you might recognise the Kaieteur Falls from films and television. 11. 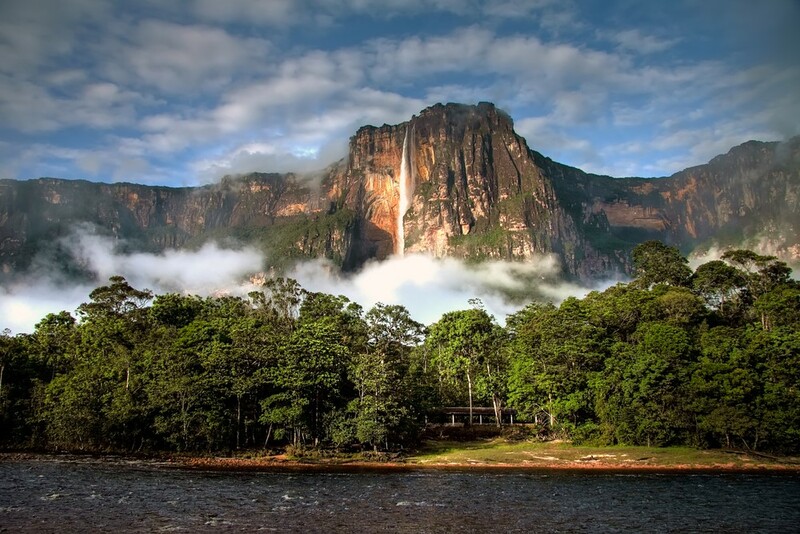 Angel Falls, Venezuela – We’ve come to the highest waterfall on Earth whose water has a free fall of 979 metres from the Churum River. It is given the name Angel Falls thanks to an adventurous pilot from Missouri with the name of Jimmy Angel. In this gift of nature, you’ll see breath-taking mountains and forests full of unique animals and plants. The freshness and speed of the water guarantee a perfect holiday and a camera stuffed with awesome and exciting pictures of one of the most amazing waterfalls. So, pick the best tour for you and visit this gem. 12. 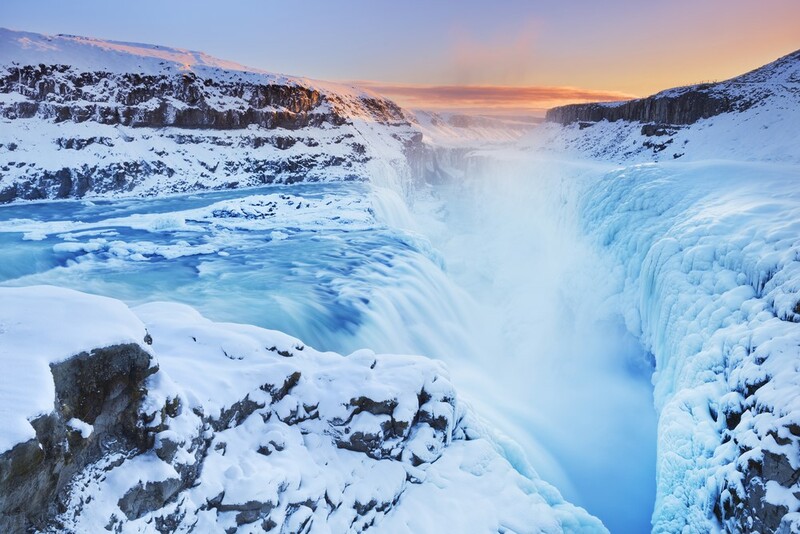 Gullfoss Falls, Iceland – When first approaching the falls, you can see that the edge is hidden from view, making it seem like the river vanishes into the ground. That’s what paints the unique picture around the Gullfoss Falls on the Hvita River and makes them one of the most amazing waterfalls. It is a part of the Golden Circle, which is a popular day excursion in Iceland, so it would be nice if you could visit it. Its beauty was acknowledged by the British band Echo and the Bunnymen and was even put on the cover of their album Porcupine. 13. 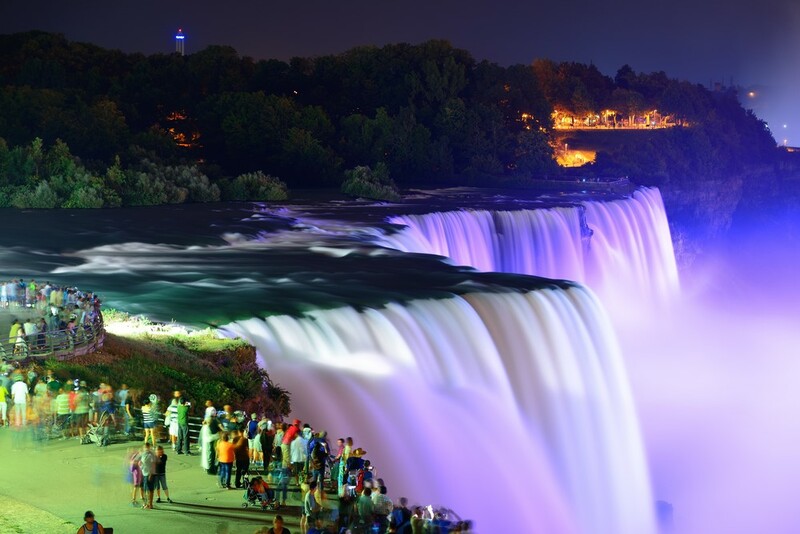 Niagara Falls, Canada, United States – There is nothing like the power and magnificence of one of the most amazing waterfalls on Earth named Niagara Falls. As a part of Ontario’s Niagara Parks, it offers an opportunity to go close to the thundering water. Journey Behind the Falls and White Water Walk are some of the unique stuff you can experience here. 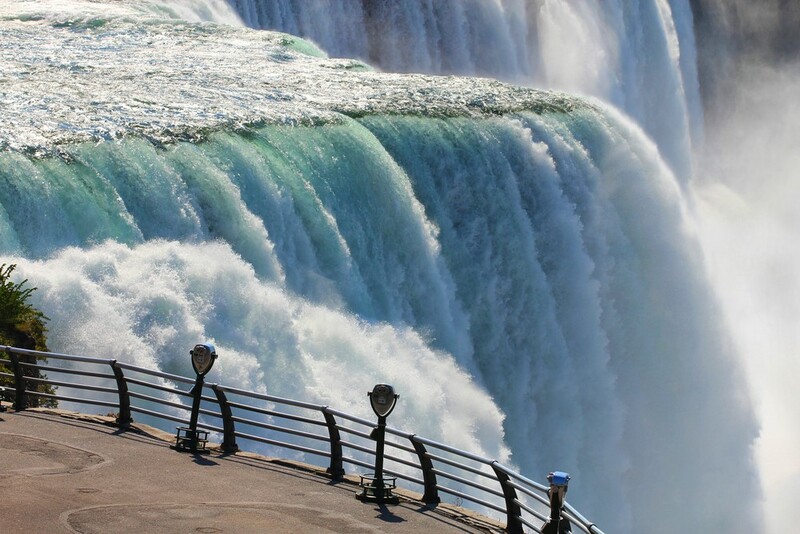 The Niagara Falls consist of three waterfalls, which form the border between Canada and the United States. You can check out the official tourism page here. 14. 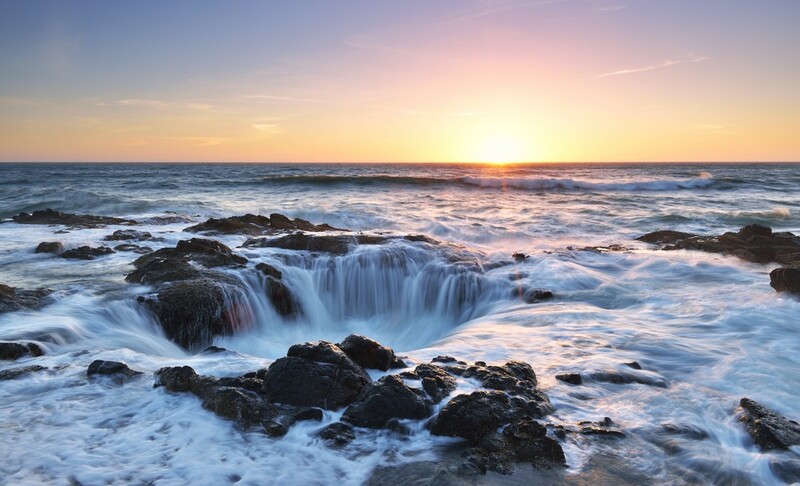 Thor’s Well, United States – Another very popular gift of nature is Thor’s Well. As one of the most amazing waterfalls, it is a part of Cape Perpetua and Oregon’s coast. What is specific about it is that the water is pumped in the air with the help of the power of the ocean. That makes it a bit riskier than all the others, especially if the tide is high in the winter time. Despite that, it is a very nice place for taking jubilant photos and enjoying yourself. 15. 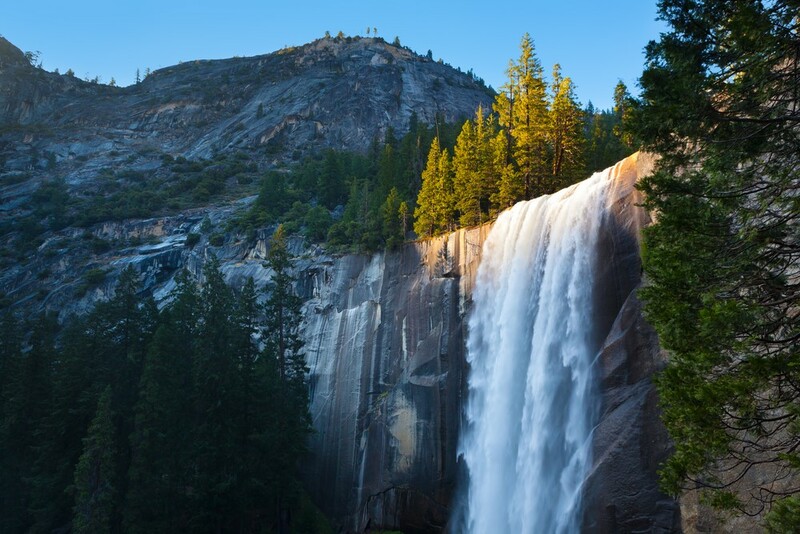 Yosemite Falls, United States – Finally, we arrived at the highest waterfall in Yosemite National Park. It is situated in the Sierra Nevada and represents a superb attraction in the park. Its total height of 739 metres and the three drops, make it thrilling for everyone who visits it. The Yosemite Falls are easily reached through the roads in the valleys around it. If you’re an adventurer desperate for new experiences and most amazing waterfalls, definitely go here.